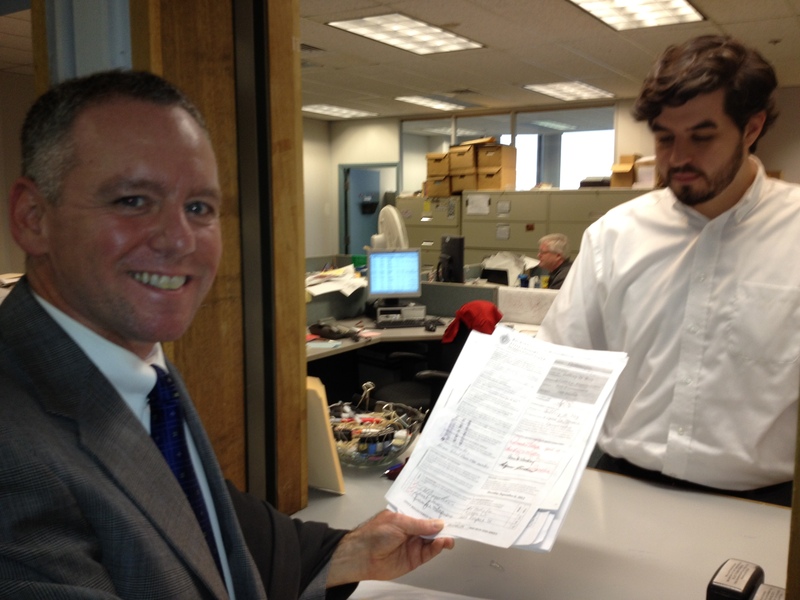 Today I officially filed nomination papers with the Secretary of State’s office in Boston. They were accepted, counted, and acknowledged by the office, meaning that my name will appear on the ballot in the fall. A heartfelt thank you goes out to everyone who helped me gather the necessary signatures to get on the ballot. Together we collected over 300 signatures, well above the 150 required to be on the ballot. And I also thank each of the district residents who signed my papers. I will work hard over the next several months to earn your support and vote. As I have said all along, this campaign and election will be about the type of government we want and how we as citizens will work together to make Massachusetts a better place to work and live. We’ve taken the first step together, and I look forward to your support and participation as we move into phase II. Again, from the bottom of my heart, I thank you and look forward to working with you.